CSFA Conference room rate deadline approaching; book before Aug 12 to secure a GREAT rate! The deadline to secure the CSFA Conference room rate at The Westin Mission Hills Golf Resort & Spa is rapidly approaching. Located at 71333 Dinah Short Drive in Rancho Mirage, the special rate of $129 per night is available for three days before and after the CSFA Conference dates of Sept. 4–6. Enjoy an extra-long Labor Day weekend and take advantage of all the amenities and golf that this beautiful oasis in the desert offers! This GREAT rate is available through Aug. 12 and subject to availability. Do not delay. Click here to learn about conference speakers and programs. Fire Station #6 in Livermore looks like an ordinary community fire station. But inside, positioned over the fire apparatus, is something quite extraordinary — something that draws visitors from around the world. Fire Station #6 is home to the oldest working lightbulb. 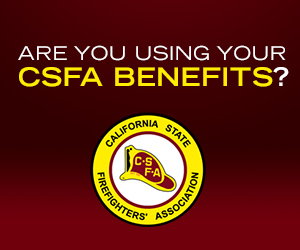 Sept. 4-6 96th annual CSFA Conference, Westin Mission Hills Golf Resort & Spa, Rancho Mirage. For more information, click here. Sept. 10-12 Fire Inspector 1A, Duties and Administration, Foster City. For more information, click here. Sept. 24-26 Fire Inspector 1B, Fire and Life Safety, Foster City. For more information, click here. Oct. 1-5 Rescue Systems 1: Basic Rescue Skills, Menlo Park. For more information, click here. Oct. 5-9 Rescue Systems 2: Advanced Rescue Skills, Menlo Park. For more information, click here. 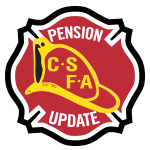 Oct. 8-10 Fire Inspector 1C, Field Inspection, Foster City. For more information, click here. 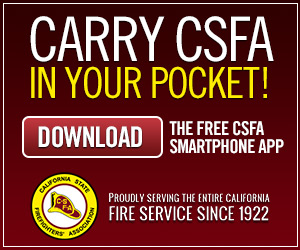 Oct. 8-10 Fire Inspector 1D, Field Inspection, California, Millbrae. For more information, click here. Oct. 12-14 Rescue Systems 3: Structural Collapse Technician, Menlo Park. For more information, click here. Nov. 5-8 FireShowsWest, Grand Sierra Hotel, Reno. For more information, Fireshowswest.com. March 24-28, 2019 Firehouse World 2019, Los Angeles Convention Center. For more information, click here.